For those of you who don’t know, today is the first game of the NFL 2014 season! Who says makeup and football don’t go together?! I know one of my favorite things to do is coordinate a crazy metallic lash look with the jersey reppin’ my favorite player. As a resident of Seattle, it’s assumed that I rock the blue and green shades in support of the home team Seahawks. But as a born and bred Cali girl, I still bleed red and gold for my San Francisco 49ers. 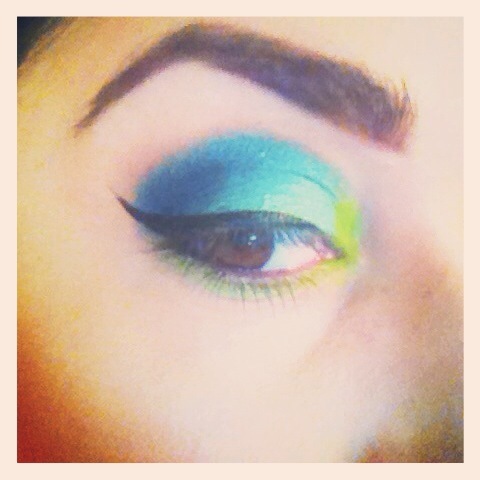 That’s not to say I don’t absolutely LIVE for a blue and green eye look. In fact, blue and green are two of my favorite colors to play with! So for today a throwback look to a look I create often. 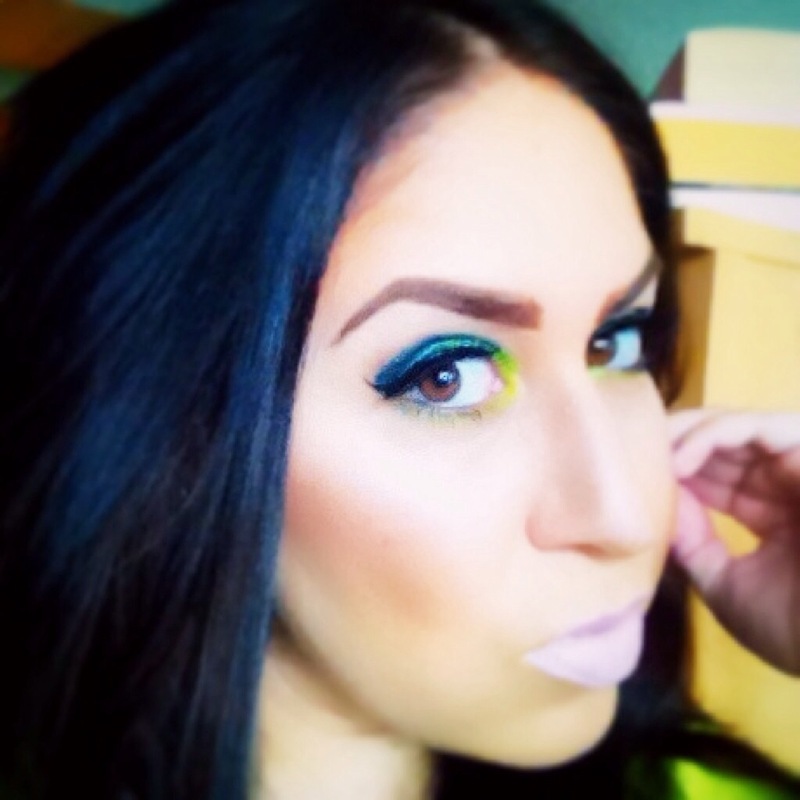 Eyes: Every color here is from Urban Decay’s Electric Palette. I’m in love with this palette. Not just for a dramatic, all-over look. But even using some of the bright pigments to line the lower lash line only and keeping the rest of the eye look neutral is a quick trick to make a look pop. Pictured here are the shades Gonzo for the outer-V, Fringe for the center lid, Freak for the inner corner as well as lower lash line, and Chaos to softly blend the blue tones together. The key to the look is blending, since all three of the prominent shades can stand on their own as one. Top off the drama with a little more drama in the eyeliner. For the cat-eye, I used Benefit Cosmetics’ They’re Real Push-Up Liner. New users to this product, beware! Part gel liner, part liquid, all in an innovative pen makes this liner all quality but requires some practice to get the winged motion just right. Brows: All products are Benefit Cosmetics. As a wannabe Bene-Babe, I’m obsessed with Brow-Zings in Dark, Speed Brow for a setting brow gel, and Hi-Brow to push up that arch. The higher the arch, the closer to the makeup gods, right?! Hope all you glam ladies who love football enjoy the season opener today! And girls who live in Seattle, hit a girl up if you love this look. Check out the About/Contact section of this blog, should you ever want to trick out those eyes before a game! Even though we are rivals, we all still want to look pretty while cheering on our teams right?